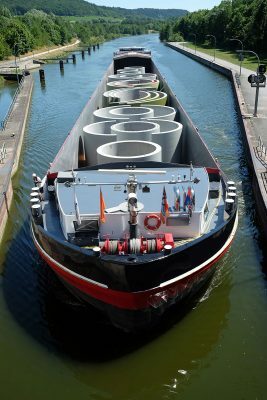 VNF (Voies navigables de France), a public administrative network operator, has published a report on the Inland waterway transport for the year 2017. A total of 52.4 million tonnes were transported in 2017 on 6700 kilometers of waterways. 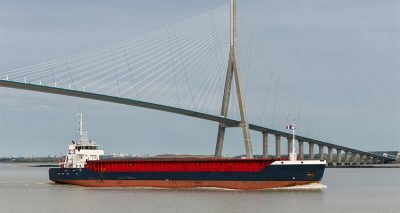 The Inland waterway transport in 2017 thus displays a relative stability of -0.4% in millions of tons and -1.8% in millions of tons per kilometer. 2017 was marked by strong growth in the industrial sector (metallurgy and chemical fertilizers). The one-year increase was respectively 13.6% and 6% in tonnes per kilometer. The building materials sector also contributed to this increase. Thanks to the very dynamic building activity, the sector was boosted by 6.9%. Guillaume Dury, director of development of Voies navigables de France explains that “the average distance decreases on the paths of this sector, and settles rather to 100 km than 130 km”. 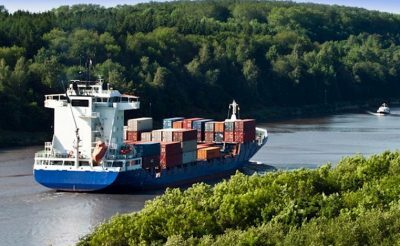 However, the poor cereal season in 2016/2017 (-19.6% of tons) strongly penalized the Inland waterway transport leading a fall of 15.6% of the activity in tons per kilometers. Multimodal transport is one of the key aspects of logistical innovation in the 21st century and CERL has chosen to make this one of its specialities. Solutions combining inland waterway or rail transport with air freight. We offer many alternative solutions, contact us for your projects! A record year for air freight transport The heavy lift transport by inland waterway in Rhone valley The Macron Law, a revolution for transport ? 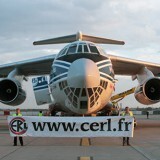 Aircraft Chartering how does it work ?